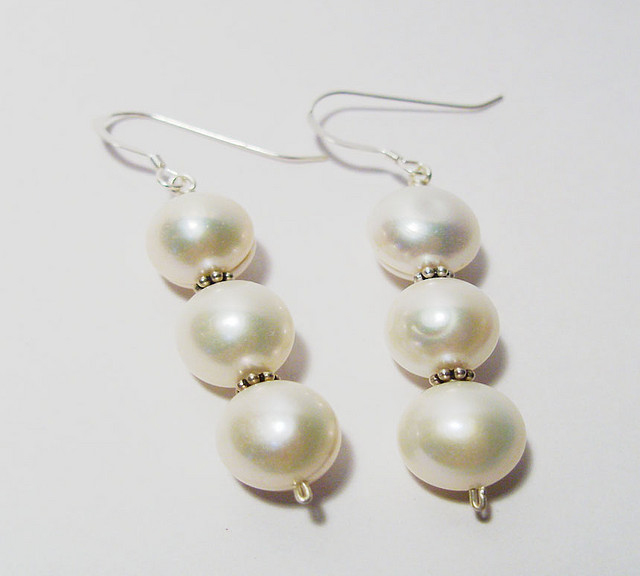 Freshwater pearl earrings; photo by Alejandra Quiroz on Flickr (noncommercial use permitted with attribution / share alike). 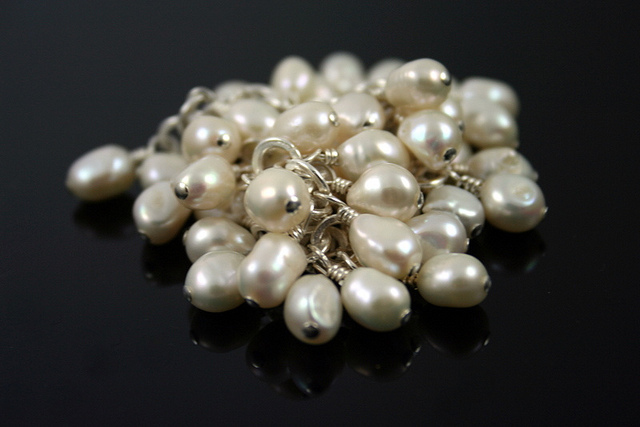 Freshwater pearls are found in the Tennessee River Valley and the Mississippi River Valley of Kentucky. These unique gemstones are created by freshwater mussels (bivalve mollusks). Freshwater pearls; photo by Courtney Dirks on Flickr (noncommercial use permitted with attribution / share alike).